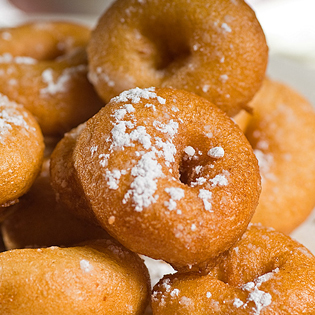 Mini Donuts make a wonderful addition to any morning meeting, seminar, or even a birthday party. You can serve them any time of the day, as donuts are cherished as both a sought after breakfast food and a tasty dessert. 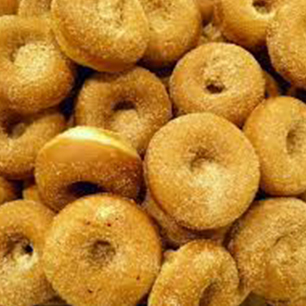 These scrumptious little donuts are a delicious and easy to eat, and work great for those who are health conscious and trying to limit their portion sizes. Artfully displayed, these mini donuts look as good as they taste. At Chevelle, we are committed to providing you with high quality food, made with fresh ingredients and beautiful presentation. 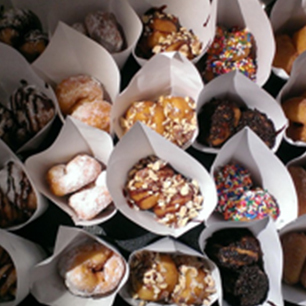 Serve mini donuts for your next event or meeting, and your guests/coworkers will keep coming back for more!